between Loaded Hog and Cantina. Oned Eyed Jack's is a popular bar in the Wall Street Plaza. It's situated between the Cantina and Loaded Hog, but manages to carry its own. It's known by many as a game-watching spot for Florida State University (FSU) and Green Bay Packer fans. There are several HD TVs and even a projector making this spot a sports haven. 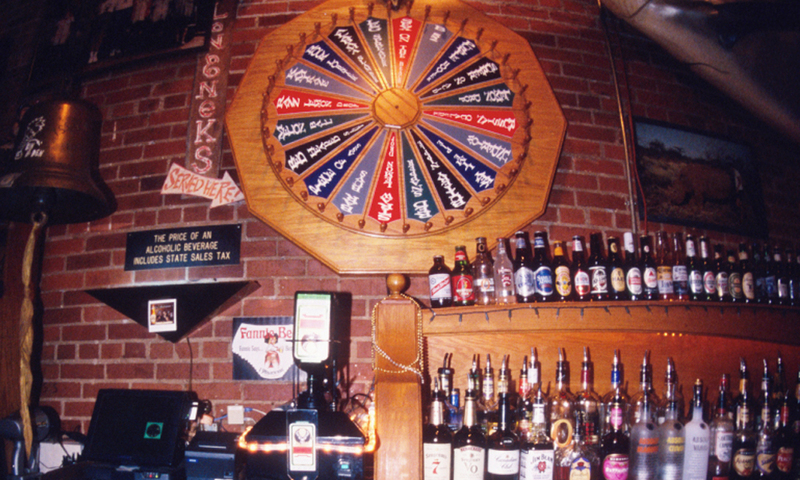 Besides serving lunch from 11 am to 2 pm, and dinner from 5 pm to 11 pm, One Eyed Jack's is also a thriving bar scene. Throughout the weekend, you'll find the place packed. It's a great place to socialize and meet other people. One Eyed Jack's serves beer and has a full-service liquor bar. 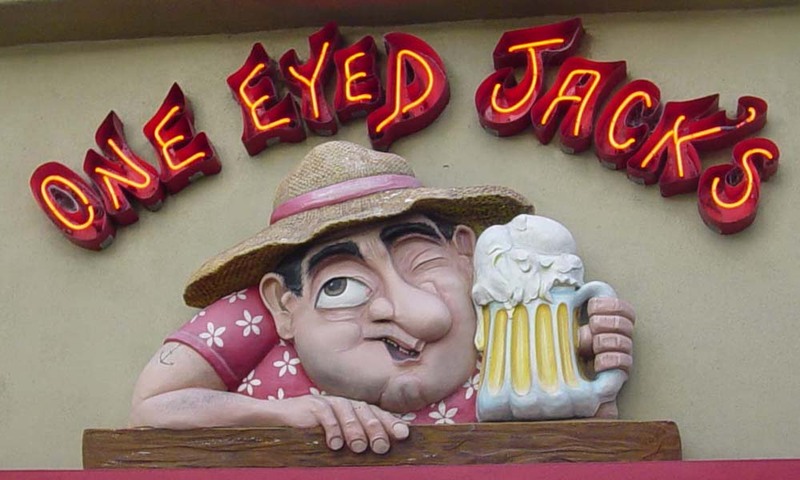 One Eyed Jack's is located on Orange Avenue in the Wall Street Plaza between Loaded Hog and Cantina.